As the New York Times’ Rick Gladstone, Megan Specia, and Sydney Ember reported in December of last year, there were some early doubts about the authenticity of the tweets. There were haters, accusers, and conspiracy theorists all calling the account a hoax. There was even a faux-scandal where a doctored photo of one of Bana’s tweets seemed to say that she supported the purchase of F-35 fighter planes. Further hate came from people that thought her tweets were too sophisticated and written by her mother, an English teacher herself who has taught Bana. Not many have seemed to put stock in the controversies. 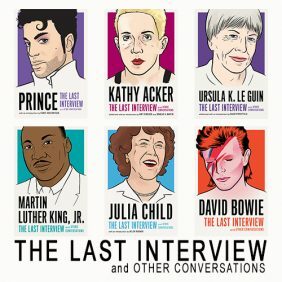 It’s not so outlandish for a child to want to stop war, after all. And there have been independent parties working to validate Bana and her mother’s identities. 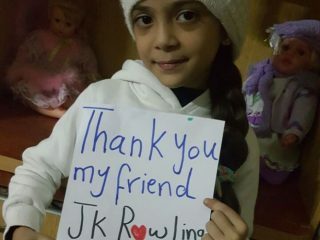 In a short time, Bana has earned fans all of the world, including the likes of JK Rowling, who sent her copies of the Harry Potter books. 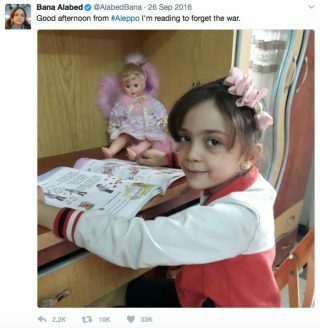 Bana is less friendly with Putin, Assad, Trump, and others that she sees as perpetuating the violence. The main message, though, has remained the same regardless of whom she addresses: peace for all. She sounds like a pretty cool kid to me.